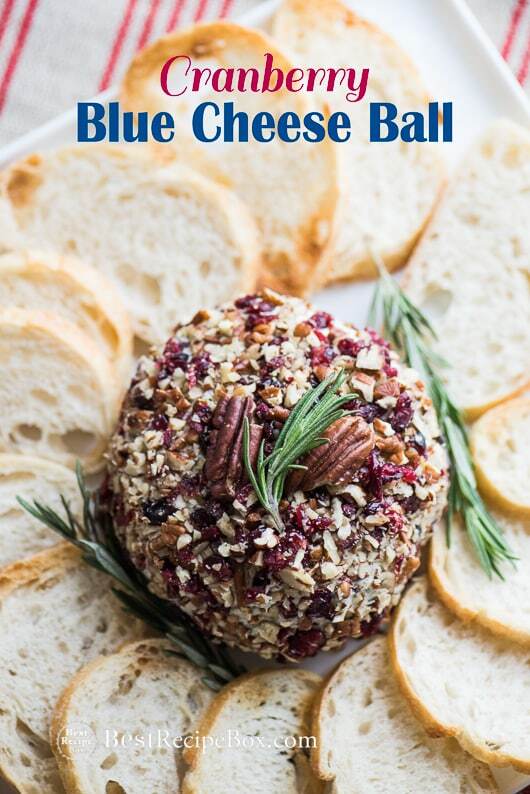 If you love blue cheese, this is the perfect cheese ball appetizer that you will just love! We’re addicted to blue cheese and wanted to come up with another cheese ball recipe that incorporated blue cheese (yay!) and dried cranberries so that each bite was balanced and delicious. 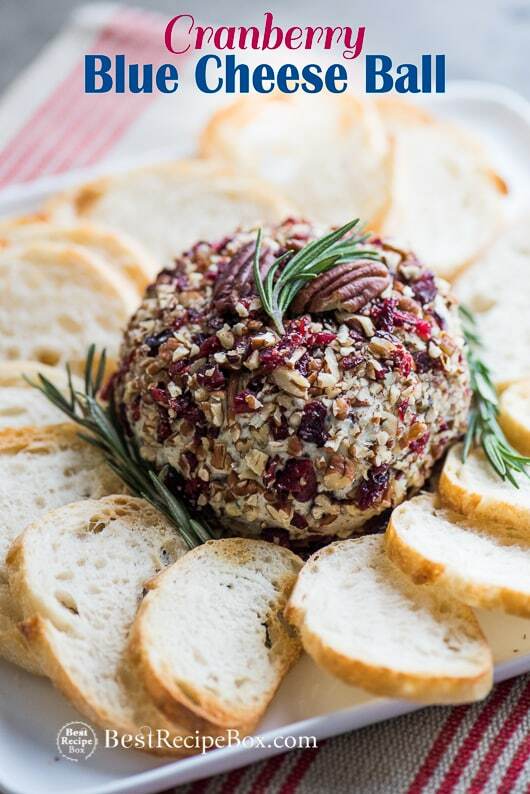 Besides, dried cranberries are great for the Holiday so this is the perfect holiday cheese ball to share at your next Thanksgiving or Christmas feast! Full of creamy blue cheese, tangy cranberries and crunchy nuts, this is the cheese ball for blue cheese lovers. They’re perfect for game day, every day, holiday. You name it, there’s always an occasion for blue cheese appetizers. Add these with some bread, crackers or veggies to freshen up the cheese platter a bit. 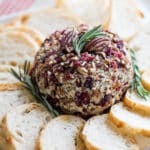 There’s so many options to making this cranberry blue cheese ball recipe the centerpiece of the appetizer spread. Another great way to eat this spread over toast or in a sandwich! You don’t have to roll it up into a ball. Just add the crunchy toppings in the cheese mixtures and spread it over some grilled bread. 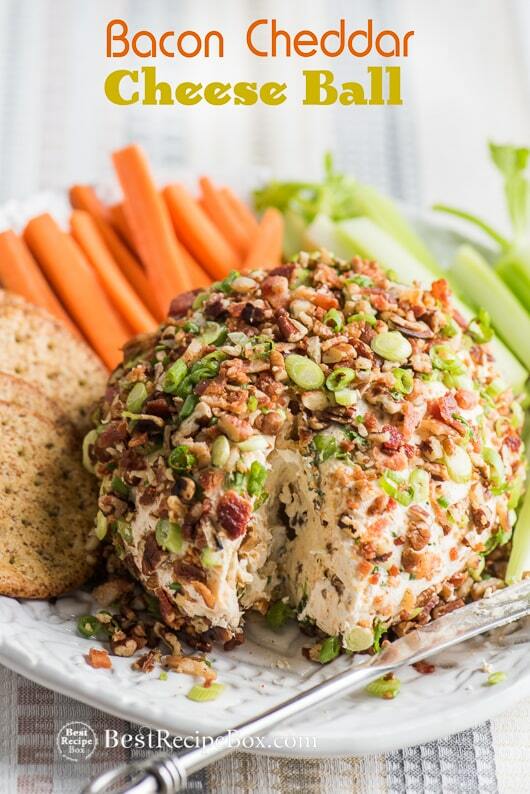 A turkey sandwich with this cranberry blue cheese ball spread is fabulous! Add some avocado to the sandwich and you have a killer lunch that everyone at work will envy. The saltiness of this cheese depends on the blue cheese. Taste the mixture before you form the ball and adjust the seasonings. Replacing the garlic/onion powder for garlic/onion salt will add extra flavor and salt to the ball. The recipe easily doubles for larger gatherings. For a double batch, we'll either make one BIG cheese ball or a 2-3 smaller ones. Add rosemary, garlic powder, onion powder, Worcestershire sauce, paprika, black pepper and 2 Tablespoons of the chopped cranberries. Stir the mixture until everything is combined. Taste the mixture and adjust seasonings. Lay plastic wrap on surface and transfer cheese mixture on top. Wrap the plastic wrap around cheese mixture and shape the mixture into a ball. Chill until the cheese ball is firm. Combine the remaining cranberries and nuts and on a plate. Roll the chilled cheese ball in the mixture. Refrigerate covered until ready to serve. The cheese ball tastes better the next day after all the flavors are combined. Garnish with rosemary sprigs or extra cranberies. 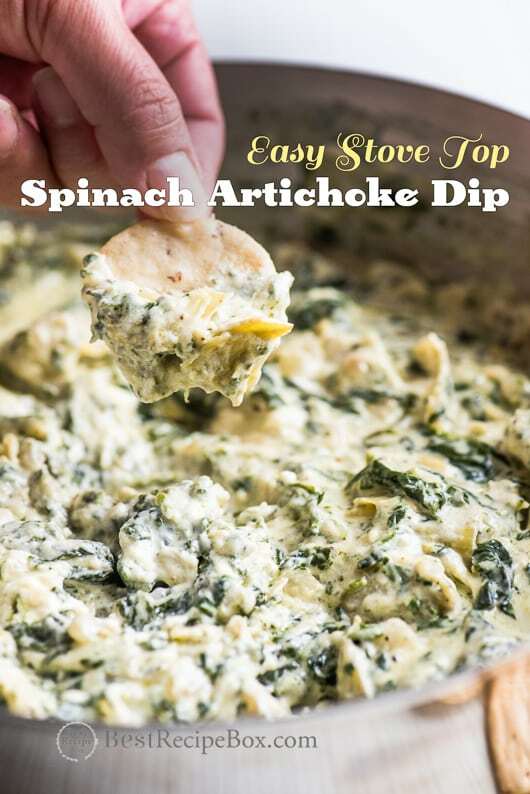 Serve with chips, bread, veggies or crackers.